Researchers at the University of Zurich and from IBM Research have investigated the varying composition of cancer and immune cells in over one hundred breast tumors. They&apos;ve found that aggressive tumors are often dominated by a single type of tumor cell. If certain immune cells are present as well, an immune therapy could be successful for a specific group of breast cancer patients. Breast tumors are complex ecosystems. 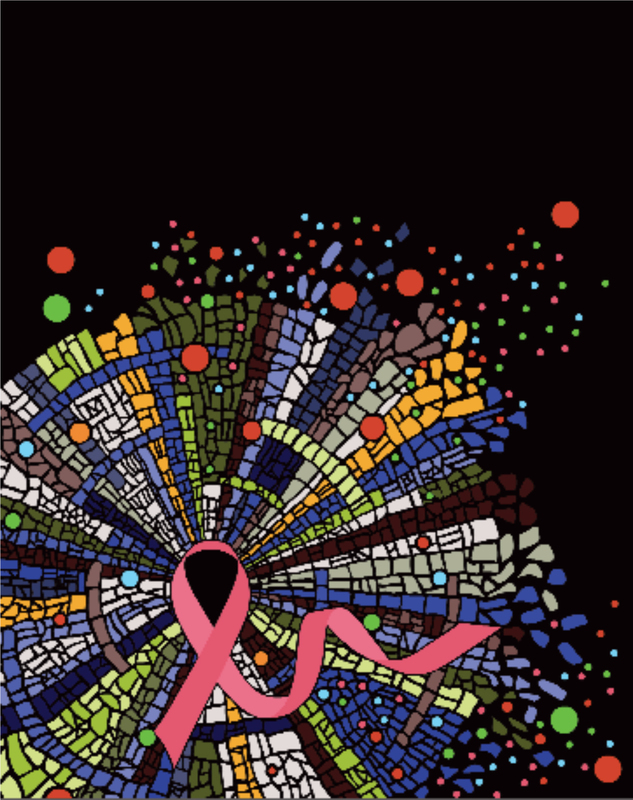 The image shows an invasive breast cancer consisting of many different tumor cell types (irregularly shaped mosaic stones) surrounded and infiltrated by many immune cells (colored circles). Image credit: UZH/Johanna Wagner.